Japanese History: 100 Years of Solitude on Fantasy Island? These comments have been widely criticized for their fictional view of Japanese history, but how well do people in Japan understand that history? If there’s hope for the future, then present-day university students would show a deeper, more accurate grasp, right? One of my classes has been discussing the experiences of refugees, including whether Japan should accept more of them. In recent years, Japan has granted refugee status to only about 0.05% of applicants, for a total of about 10-30 people per year. In contrast, other developed countries have accepted tens of thousand of refugees per year. Japan has ratified the UN Convention on Refugees, and as one of the wealthiest and most populous nations in the world, Japan could be a stronger member of the international community by lending aid to more of the world’s most needy. How could Japan sustain this monoracial, monoethnic, homogeneous space? Geography. As a series of islands, Japan was inaccessible to the rest of the world. Precisely how the inhabitants of the Japanese islands got here is unclear, because if they used boats, then couldn’t other people have also used boats to travel here? Was there an ancient land bridge that later collapsed, standing the islands in the middle of the ocean? Were the original inhabitants amazing swimmers who made the journey from the Korean peninsula? The Japanese people have been united through a shared “island mentality” (shimaguni konjō) that instructed them to love each other and to love being Japanese. This mentality prevents Japanese from accepting others into their club. Also, the fact that Japan has always been so homogeneous means that Japanese have no experience living near non-Japanese, and are not familiar with dealing with such people. I’ve tried to remind my students that in the first half of the 20th century, Japan was the head of a colonial empire that spanned much of Asia and the Pacific Islands. Millions of people from throughout the empire lived on the Japanese mainland, held Japanese citizenship, and voted in Japanese elections. One student later acknowledged that his grandmother told him that as a child many of her friends were Korean. Notions of Japanese identity in this era justified Japan’s dominance by emphasizing ties between Japan and its Asian neighbors. 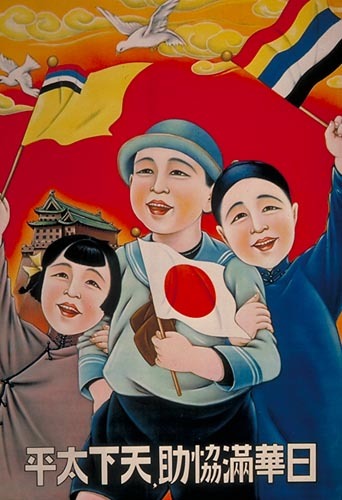 One government propaganda slogan professed Japanese unity with its Asian brothers and sisters as “do-so, do-shu” (Same origin, same race). The idea of Japan as a homogeneous nation is a postwar idea to reunite a defeated nation after the collapse of its empire. These facts of Japanese history are absent from students’ narratives. Instead, they act as if nothing happened in Japan between the Meiji Restoration in the 1860s and the Tokyo Olympics in 1964—100 years of solitude on Fantasy Island. It’s as if Gabriel García Márquez and Mr. Roarke were both Japanese and had 127 million love children. But somehow their fantastical islands have a few million non-fantastical people, and there are other people whose islands became part of the fantasy more recently—and many of whom are unhappy about this. And many people who pass as fantasy people are, in fact, of non-fantastical ancestry. And let’s not forget the hundreds of thousands of fantastical return migrants, who also brought their slightly less fantastical Latin American family members. Students express concerns over the challenges of integrating immigrants, refugees, and other foreigners into Japanese society. Those are valid concerns, but their solution is to close the door and to isolate Japan from the rest of the world. Is that a solution? Japan does have a neighbor that is much more isolated and that is largely closed to foreigners—North Korea. But is that the model they want to follow? In an attempt to get students to rethink the issues, I read Dr. Seuss’s classic story Green Eggs and Ham, which challenges readers to get past their dislike of the unfamiliar. Green eggs and ham are delicious, after all. Japan’s economic success has come from being embedded in the global economy, and continued success in the 21st century requires accepting not only people’s money, but the people themselves. We’re not scary. We’re green eggs and ham. Try us, you might like us. Recently, in Japan there are a lot of “hafu” who is one parent is a foreigner who is white people. Their faces are different from so-called “Japanese” and they are often thought as a foreigner in Japan, because consciousness of Japanese people is “Japanese is Japanese”. This means that people think Japanese has a similar face as Asian ethnicity, so they are thought as a foreigner. Another reason why people think they are foreigner is also that Japan is said to be a mono-racial country. Hafu is rare to ordinary Japanese. These facts result in that situation in Japan. Hafu has a Japanese citizenship, and they have lived in Japan since they were born. Some of the hafu has an identity as a Japanese citizen. However Japanese people have a consciousness as mono-racial country. This is a serious problem to hafu. In order for them to be accustomed to Japanese society comfortably, Japanese government should create a class about multiculturalism or different culture from the elementary school. By taking a class in the early period of children, they can understand or learn hafu or another culture and foreigner. 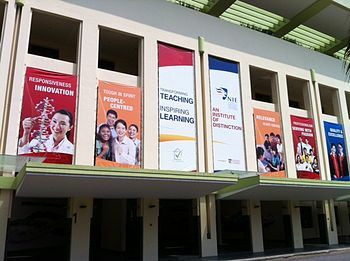 International school is a good example. In our class, we watched a movie about discrimination and the identity of hafu. In the movie, one hafu said that his company forced him to use his French name because he could be forgiven by customer when he mistook. This is a terrible discrimination. I think that the boss of him who forced him to use the name hasn’t touched another culture or foreigner in his childhood and he doesn’t understand the feeling of them. If he understood the feelings, he would not say such a terrible thing. In Japan, a lot of people don’t have an opportunity to contact with foreigners who have different culture and racial background. This contributes to that discrimination indirectly, so it is important for children to take the class. I think that it is difficult for us to change this situation because Japan is said to be a mono-racial country and people don’t have a consideration as to foreigner or hafu even today when globalization has progressed. Besides, Japan doesn’t have a lot of immigrants and the policy toward foreigner is also hard or rigid. I don’t intend to say that Japan should take an action drastically to multiculturalism because the measures about it are not prepared for. However Japanese education should be changed to multiculturalism because globalization is progressing now and from now, more people will come to Japan from foreign countries. In addition to it, the number of the hafu will increase more and more. According to it, for children to take the class must be so valuable and to be a person who can understand foreign stuff is important. When I asked foreign friends a question, “what is Japanese culture?” many said, samurai and kimono that are related to traditional Japanese stereotype, and Japanese people also often say Japan is a mono-cultural traditional country. Yet, I think Japanese culture contains many foreign origin customs and is ever-changing. However, although it is difficult to differentiate a multicultural country from a global country, Japan is not enough globalized to be capable to accept people who have different cultures. One of the most frequent answers to the question, what is Japanese culture, might be kimono. There is no doubt the traditional clothes is a part of Japanese culture, and many Japanese wear them for festivals and various ceremonies. Yet, kimono is not Japanese original or only-Japanese culture. Similar style wears were used over Asia, and Japanese people actually imported pre-kimono clothes from China and Korea. Then, how about Zen culture? Japan has five famous Zen temples where sophisticated monks created poetry and paintings, and the word, Zen, is widely known as a Japanese culture in the world. Yet, Zen was happened in India and was brought to Japan much later. Although both kimono and Zen are not originally from Japan, they are part of Japanese culture. In addition to these pan-Asian cultures, Japanese culture contains Western cultures, too. One will hear the Symphony No. 9 in D minor, Op. 125, by a European composer, Beethoven, on the last day of every year in Japan. Playing and singing the Symphony No. 9 altogether is a Japanese ending year custom, and people eat soba noodles listening to it. Moreover, how about shaking hands? Is it not a Japanese culture? Although touching someone’s body part would not fit into Japanese polite manners, shaking hands became a common way of a greeting especially in business, and most of all Japanese know what shaking hands means. From ancient time, Japan integrated many foreign cultures into its own culture, and people are not aware of their non-Japaneseness as cultures are invisible. However, instead of accepting foreign cultures, Japan is not capable of having people who have different cultures yet. If accepting people is about globalization, then Japan has not globalized enough. Although many companies expresses they need “global” people to work with, they would not hire a Muslim man who can do a great work but who needs to have praying time five times a day. It would still take time for Japan to stand at the global stage. Yet, I believe it is not impossible, and Japan can be a more multicultural and global country. For the change, Japan definitely has to deal with some overdue customs, such as treating women as tea servers and recruiting only Junior students, that would cause a delay in the global business race.